Pop into the Intel Developer Forum in San Francisco next week and you'll spot, amid the chips and motherboards, a fun little number from Toshiba in the form of a half-terabyte hard drive tailor-made for netbooks. The MKxx56GSY series of drives are 2.5-inch SATA models that run at 7,200rpm all the way up to 500GB. 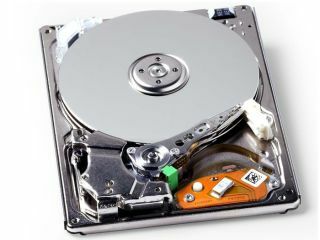 Toshiba says the entire range of HDDs is 13 per cent faster than its predecessor and that the new models are a lot easier on power consumption too. While the drives will fit in any machine, Toshiba is likely to position them as options for netbook builders, as well as use them itself in its booming range of ultra-lights. Recent sales figures show Toshiba's netbooks making up 10 per cent of its US laptop shipments just three months after the company's first model went on sale outside Japan.